He is one of the biggest stars in the world and the weight of Tom Hanks’ stardom will be on the 57th annual London Film Festival with two of his movies set to open and close this year’s event. Hanks’ films are already getting Oscar buzz with the Paul Greengrass thriller Captain Phillips to open the ten day-event and the John Lee Hancock-directed Saving Mr. Banks set to close things off on October 20. Captain Phillips tells the story of the 2009 hijacking of a US container by Somali pirates in which Hanks plays the title role while Saving Mr. Banks tells the story of how the studios attracted PL Travers who authored Mary Poppins. Hanks will star alongside British actress Emma Thompson in Saving Mr. Banks whileCatherine Kenner plays the wife of Captain Phillips. 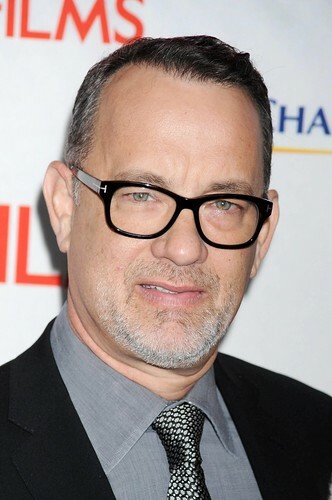 Hanks has won the Academy Award for Best Actor on two occasions. He first won for 1993’s Philadelphia which he starred opposite fellow Best Actor winner, Denzel Washington, and again in 1994 for the film Forrest Gump in which he played the title character. Captain Phillips will debut in the United States in mid-December. Danny Boyle’s Best Picture Oscar winner Slumdog Millionaire has closed the LFF in the past.